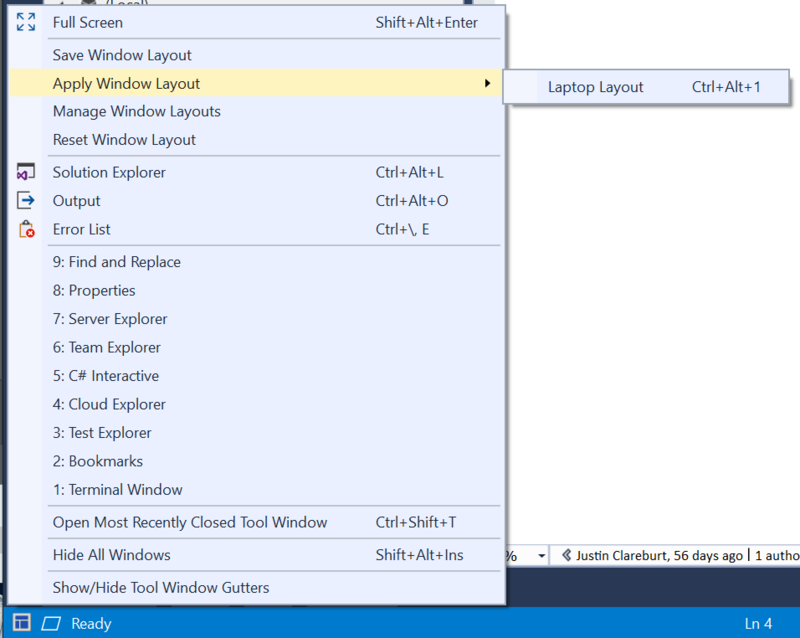 Provides a menu button in the status bar with access to popular tool windows and window layout features. 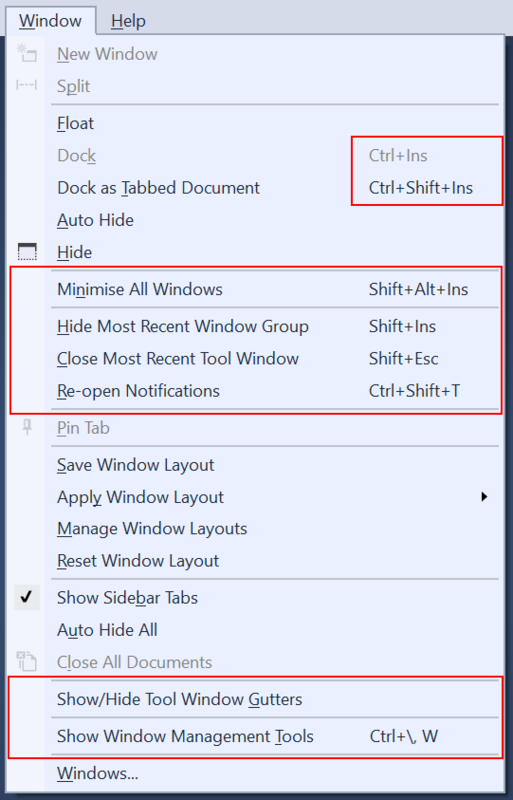 Easily manage tool windows with shortcuts and status bar context menu. 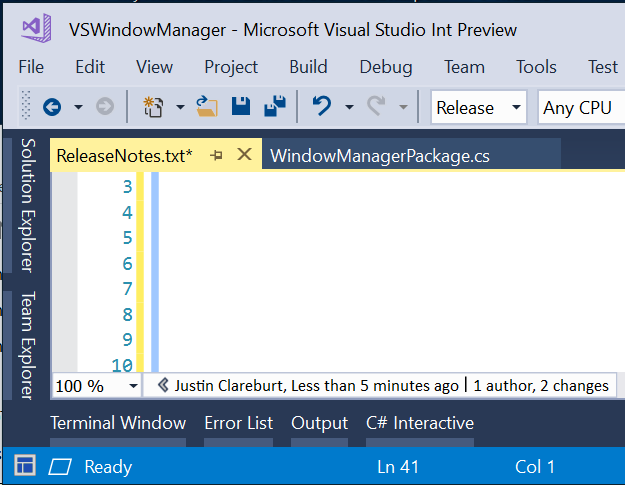 Provides a menu button in the status bar with access to popular windows and window layout features. You can open the status bar menu by pressing Ctrl+\, W.
Use Ctrl+Ins to dock a tool window. 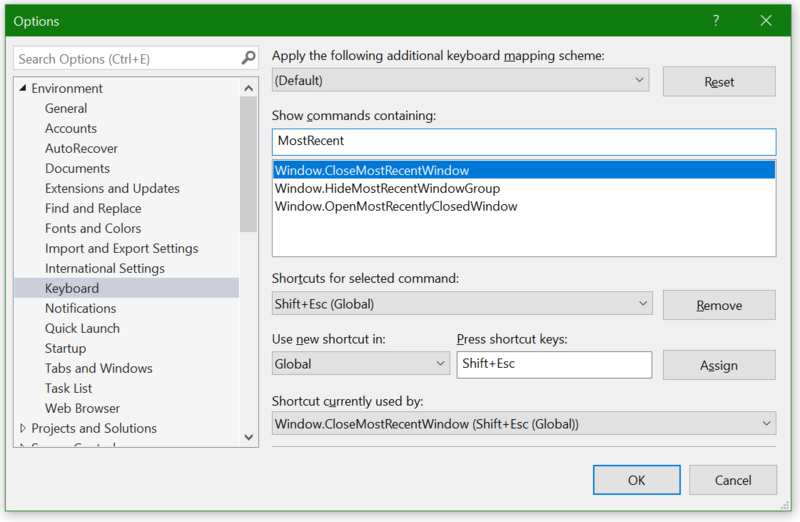 Bind Shift+Esc to Window.CloseMostRecentWindow to be able to close windows without first navigating to them. 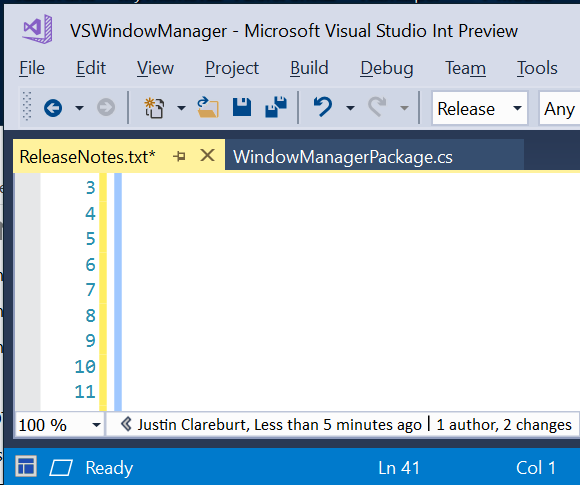 Hides the tab bars in the IDE shell, giving you more area for your documents.